Refugees in front of Budapest Keleti railway station, Hungary, Central Europe, 3 September 2015. The single most significant issue of our time is not North Korea’s drive to develop long-range nuclear missiles. It is not the threat posed to Europe by the Russian land power or the threat posed to America’s Asian dominance by Chinese sea power. It is not Iran’s growing Mideast influence, nor the ongoing investigation into Russian meddling in U.S. elections and possible “collusion” by the Trump campaign. No, the defining issue of our day is mass immigration into the nations of Western heritage. This growing inflow threatens to remake those nations and overwhelm their cultural identity. This is the issue that played the largest role in getting Donald Trump elected. It drove Britain’s Brexit vote. It is roiling the European continent, mounting tensions inside the EU and driving a wedge between the elites of those nations and their general populations. Indeed, the central battlefront in the immigration wars is Europe, which accepted a trickle of immigrants in the immediate postwar era due to labor shortages. 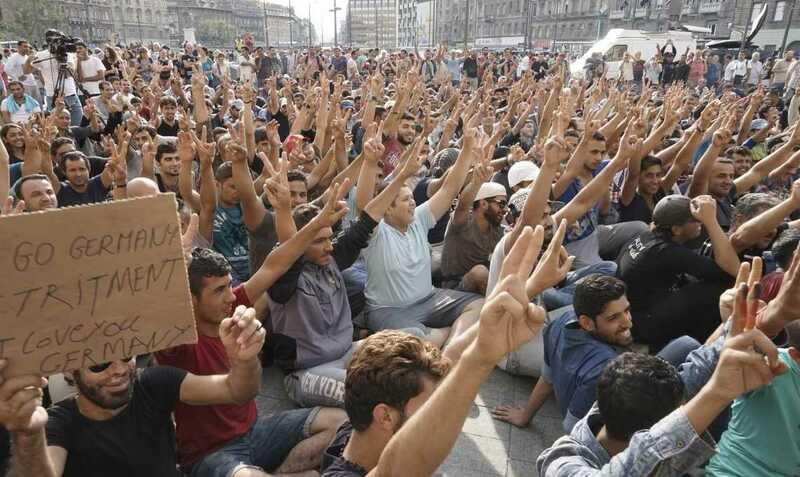 But over the years the trickle became a stream, then a growing river, and finally a torrent—to the extent that ethnic Britons are now a minority in their own capital city, refugee flows into Germany went from 48,589 in 2010 to 1.5 million in 2015, and Italy, a key entry point, received at one point an average of 6,500 new arrivals a day. Throughout all this, the European elites celebrated the change and imposed a kind of thought enforcement regime against those who raised questions. The in-migration was initially hailed as an economic boon; then as a necessary corrective to an aging population; then as a means of spicing up society through “diversity”; and finally as a fait accompli, an unstoppable wave wrought by the world’s gathering globalization. Besides, argued the elites, the new arrivals would all become assimilated into the European culture eventually, so what’s the problem? Meanwhile, public opinion surveys over decades showed that large majorities of Europeans harbored powerful misgivings about these changes. Murray, associate editor of the Spectator in London, is the author of a compact volume exploring this phenomenon. It is called The Strange Death of Europe: Immigration, Identity, Islam, and it was published six months ago by Bloomsbury. The tone is measured but unflinching. The picture he paints of the European future is bleak. Consider also the significance of this fact: By 2015 more British Muslims were fighting for ISIS than for the British armed forces. There was nothing hidden about the resolve of many European Muslims to retain their own culture while overwhelming the European one. 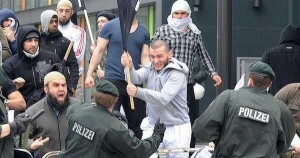 At a rally in Cologne in 2008, then-Turkish prime minister (later president) Recep Tayyip Erdogan told a crowd of 20,000 Turks living in Germany, Belgium, France, and the Netherlands that assimilation in Europe would constitute “a crime against humanity.” He added, “I understand very well that you are against assimilation. One cannot expect you to assimilate.” Yet he admonished the five million Turks living in Europe to pursue political influence through democratic means in order to wield a “constitutional element” in transforming the continent. Reading Murray’s book, one gets an understanding of why he characterizes Europe’s demise as “strange.” The continent’s embrace of its own cultural death is indeed historically aberrational. Civilizations normally fight for the preservation of their cultures, unite to expel invaders, revere their identities and the fundamental elements of their heritage. But the West today is engaged in an extensive and progressive extravagance of civilizational self-abnegation. Murray calls this the “tyranny of guilt” and identifies it as a “pathology.” The concept of historical guilt, he writes, means that hereditary stains of guilt can be passed down through generations—much as Europeans themselves for generations held Jews responsible for the killing of Christ. Eventually this was seen as repugnant, and the Pope himself in 1965 formally lifted the historical burden. Thus do we have the West singled out, even by Westerners, as a particularly brutish, harsh, exploitative, and evil civilization in a historical sea of relatively enlightened, restrained, and benign neighbors. But of course this has no basis in history. Consider the Ottomans, who built a potent, expansive empire through policies and programs with greater brutality and harshness than the West ever displayed. In the Balkans they ripped young boys from the arms of their parents in order to indoctrinate them in Islam and employ them as elite warriors charged with keeping down their own people. They discriminated against non-Muslims with burdensome taxes—or death for those who refused to pay. They employed all the tools of dominance in their drive to conquer vast territories, including Europe (thwarted on two occasions outside the gates of Vienna, when Europe considered itself a civilization worth saving). And yet nobody suggests that modern Turks are responsible for any crimes or abuses of the Ottoman era or that Turkey is an illegitimate nation that deserves to be overrun by outsiders. Certainly there is no movement among Turks themselves to foster any such feelings or sentiments of guilt or atonement. Nor does anyone suggest that today’s China, or the Chinese, should hang their heads in shame at the 40 million or so people killed by direct actions and brutal policies of the Chinese leadership after Mao Zedong’s communist takeover. Indeed, the Chinese today consider themselves victims of outside forces of the past and give hardly a thought to the profound victimization perpetrated by their former leaders. The Aztecs of Mexico killed people and ate their flesh in rituals of religious sacrifice, yet nobody believes modern-day Mexicans lose legitimacy as a people because of it. But in the West self-elevation through cultural self-abnegation rolls on. It comes at the cost of a decline in Western self-consciousness. “Europe,” writes Murray, “lost faith in its beliefs, traditions and legitimacy.” Abandoning their Christian religion with studied conviction, writes Murray, Europeans replaced it with the idea of progress—a secular concept that requires, as British intellectual John Gray has noted, every bit as much faith as any religion. Murray, with Gray, rejects the notion that mankind is on a trajectory of constant improvement as exemplified by Western liberalism. But that powerful concept militates against any sense of cultural self-preservation among many Europeans (and Americans). The European people at large may or may not have given much thought to the validity or the sham of the idea of progress. But they have harbored a growing concern for decades about this transformation of their countries, about Europe becoming the home of the world whereas every other civilization and country remains the home of its own peoples. Murray cites multiple surveys, beginning at the early postwar period, showing sentiment running between 60 percent and 80 percent against the immigration trendlines. And yet the trendlines proved unalterable. But European leaders, responding to popular sentiment, began talking tough on immigration around 2000—while doing nothing to stem the tide. Murray calls this an “electoral trick” to mollify increasingly agitated voters. Around the same time the elites in government, think tanks, and the media began a campaign of vilification against anyone who dared to raise questions about where all this was going. Epithets of “racist” and “Islamophobe” were tossed around promiscuously. Jobs were lost, and standing relinquished in the realm of ideas, when rebels displayed the temerity to question the conventional narrative. America lags behind Europe in the magnitude of its immigration problem. But, with an estimated 11 million illegals in country and the same prevailing elite sensibility dominating our discourse, the United States eventually will hit a similar crisis point unless current trends are altered or reversed. It’s worth noting that the percentage of Americans born outside the country has approached a historical high of 14 percent—similar to what it was in the 1920s, the last time the country curtailed both the numbers of immigrants and the nations from which they were allowed to come. That may be what’s brewing here today with the election of Trump.